I've recently acquired some really fun, really awesome, and really large craft tools. 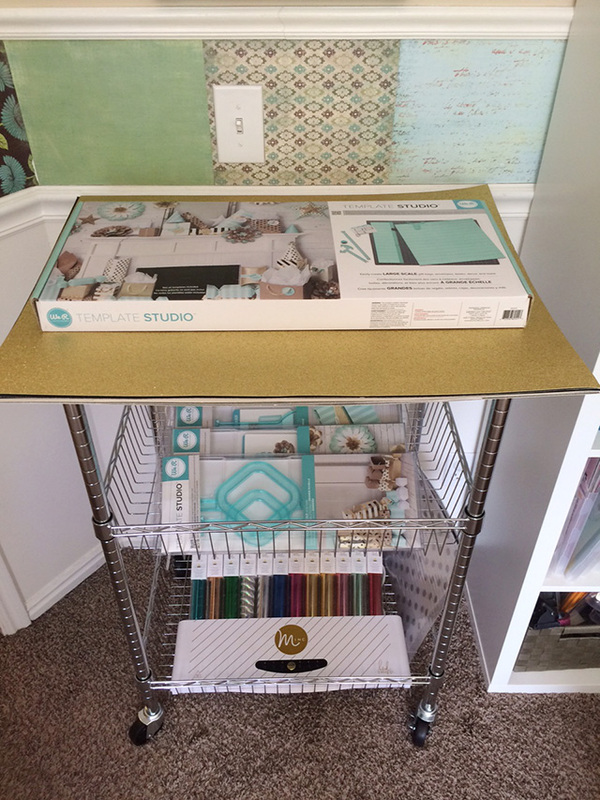 I love to create with my new We R Memory Keepers Template Studio and Heidi Swapp Minc, but since I got my hands on them I've been wondering how to store them in my craft room in a practical way that will work for my needs. 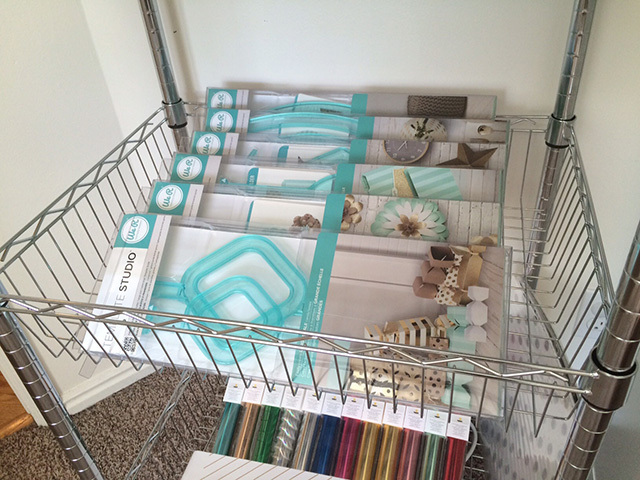 The other day I saw an ad for some storage items at one of the local big box craft stores, and when I saw a photo of this rolling storage card I kind of squealed. I knew if it was the right size it would be perfect for storing my large craft tools! After looking at the measurements for the cart I grabbed my 40% off coupon and ran down to the store. 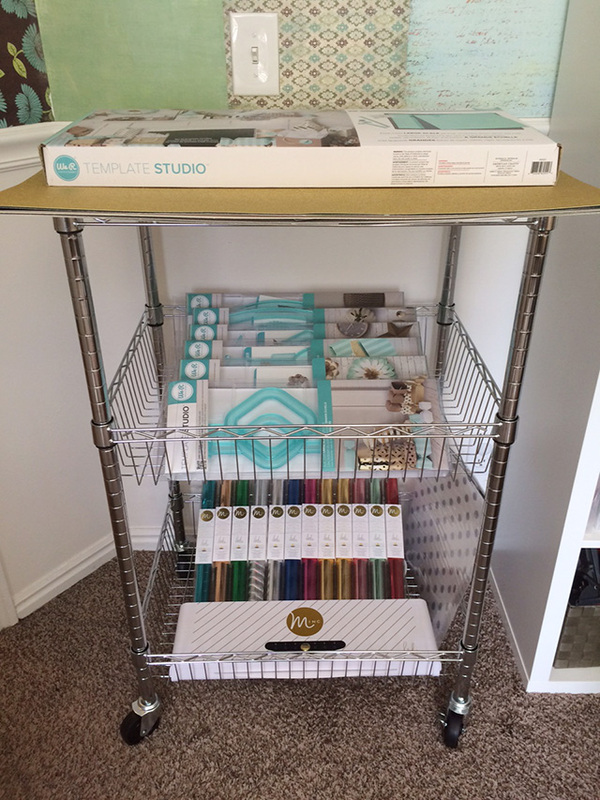 Just as I was hoping, my Designer Poster Board and Template Studio Starter kit fit perfectly across the top shelf of the cart. My Template Guides fit perfectly in the bin below that. Plus, if I ever have need to store more items, there's plenty of room. I can stand these guys up vertically and make room for more supplies. 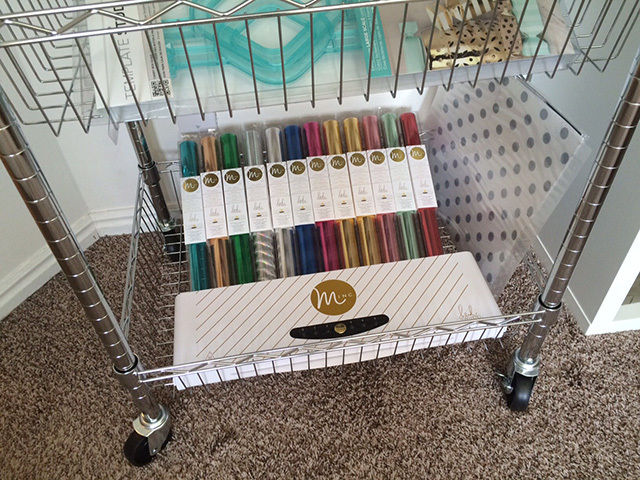 In the bottom bin I fit my Minc tool, rolls of foil, my heat sleeve, and two 12x12 Minc paper kits. My favorite part about this cart (other than the fact that it's transportable) is that it's right next to an outlet as well, so if I need to pull out my Minc and use it right where it is, I can place it on the top of the card and Minc away. 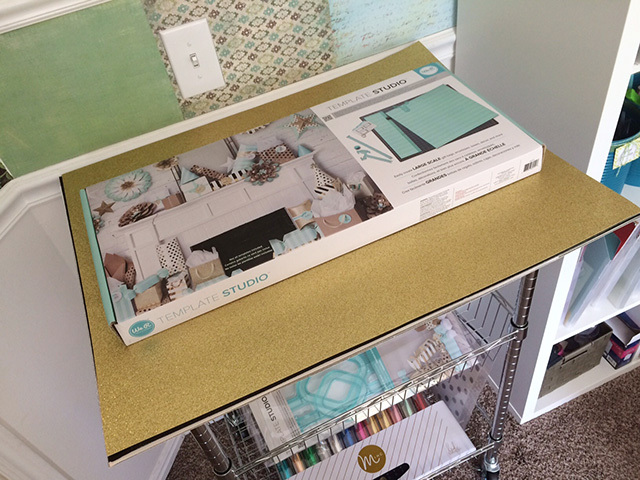 So, if you've got some oversize crafting tools that need a home, consider using this type of large rolling card to store and organize the larger supplies in your crafting stash. Creative cheers!